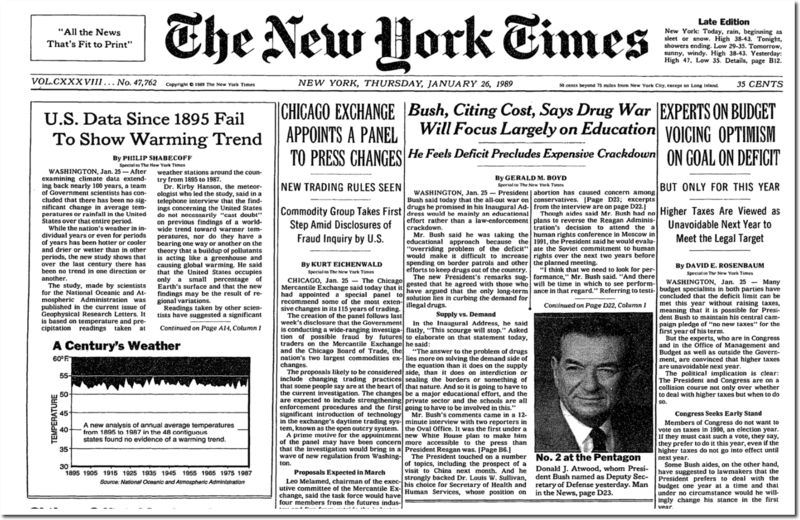 Ten years earlier the New York Times said there is no end in sight to the thirty year cooling trend. Simple, we’ll just go back and adjust the temps warmer to show the warming trend we have imagined. Right! Just like our falling test scores in the government schools; just re-norm the norms! Now that we know we’ve irretrievably lost the battle with APGW, can we just forget about it and get on with life? Agreed! But in Australia, the Federal Government and the major opposition party want to wreck our economy to pay lip service to this “lost cause”. Ironically speaking, the politicians are demonising coal-fired power stations while at the same time coal is our number 1 export for others to burn. Make sense of that! Yes, the media blitz we are seeing right now is the last death rattle of this horrible fraud. No one is listening to their nonsense. Anyhow, we should’ve “acted” 30 years ago; so now it’s too late anyhow. Nothing left to do but sit back, watch the Arctic vaporize, the seas boil away, and watch the tipping points tip. Oh, the Arctic ice is doing just fine; plenty of ice? NYT can publish all the nonsense they want. No one cares. The International Socialist Party, formerly known as the Democratic Party, are sitting back waiting for their chance to take over again and institute all the policies that will “save us all.” I’m afraid that this new America, controlled by media propaganda and social media nonsense, will soon be the majority and the end of the republic as we know it is in the cards. Saying that no one cares may be a bit too optimistic. Tell the new generations that their phones are causing global warming and then their selfish backsides won’t care. Such a paradox…the New York Times relying on people to read their articles and believe what they see, yet also relying on those same people to not remember what they might have read – in the same paper – days, months, weeks, years ago. Do they believe all people are mind numb robots, or just those whom share their political point of view? 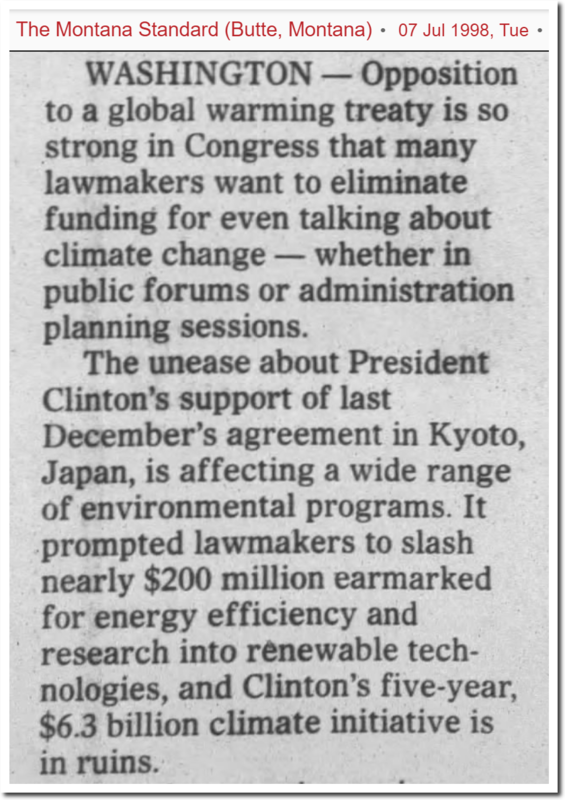 When Climate discussions turn political, its not climate science at all. Any credible news organization would be red-faced, but the NYT is neither. Someone should tweet this to Tucker Carlson. I don’t have a Twitter account. Great idea! I just sent it. The only thing their article will probably do, is cause more and more people to roll their eyes when the hear “The New York Times”. driving the warming, the climate, or anything else. has survived decades of predictions of its demise. 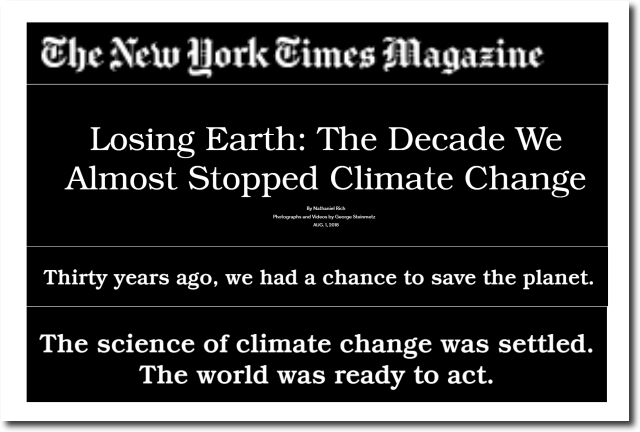 authority on sea level change, has not changed at all. overall number and strength of hurricanes and tornadoes. oscillations, such as, La Ninas and the Indian Ocean Dipole. underbrush stockpiles and interference with nature by humans. anecdotes, computer projections, Hockey Sticks, and consensus. * Anecdotes are short, obscure historical or biographical accounts. input is greenhouse gases. Computer projections are not proof. today. Hockey Sticks are artificial fabrications, not proof. * Consensus is an opinion or position reached by a group as a whole. center of the Universe and Solar System. 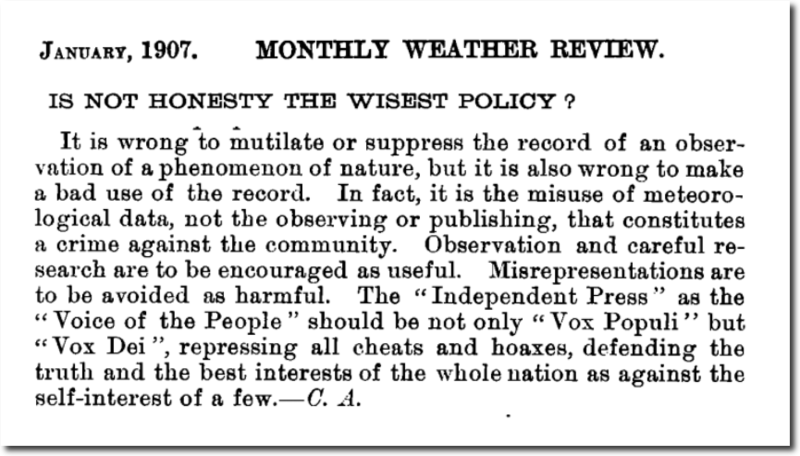 Consensus is not proof. changed often and sometimes violently, all without any human influence. where near any temperature tipping point. 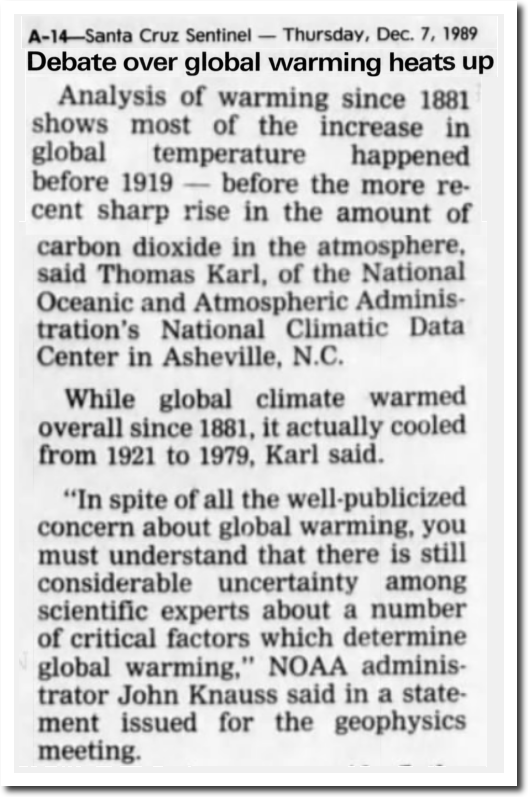 1998 there has been no warming at all. down to where it is today, near it’s historic low (Berner, R.A. and Z.
increases, vegetation has increased 11% in arid areas of the world. Volume 18 No. 2, 2007, Fig. 2). CO2 readings over the next 115 or so years. 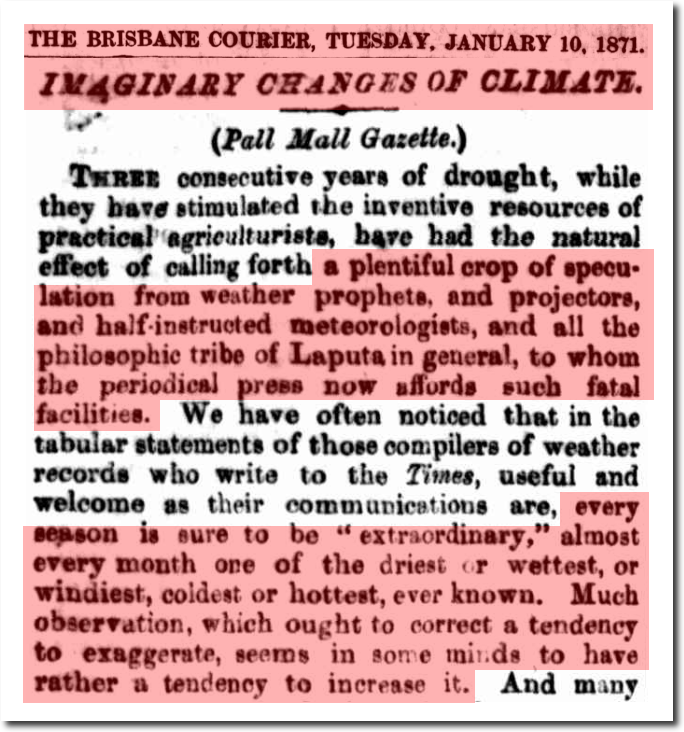 paltry CO2 increases is ludicrous. obvious? It’s the Sun, not CO2. is not a driver of climate. CO2 is a passenger.